On June 14th, I’ll be celebrating another birthday. I’m getting to the point where I’m almost halfway done with my life, considering normal lifetime expectancy. I’ve also lived over half of my life with schizophrenia at this point. 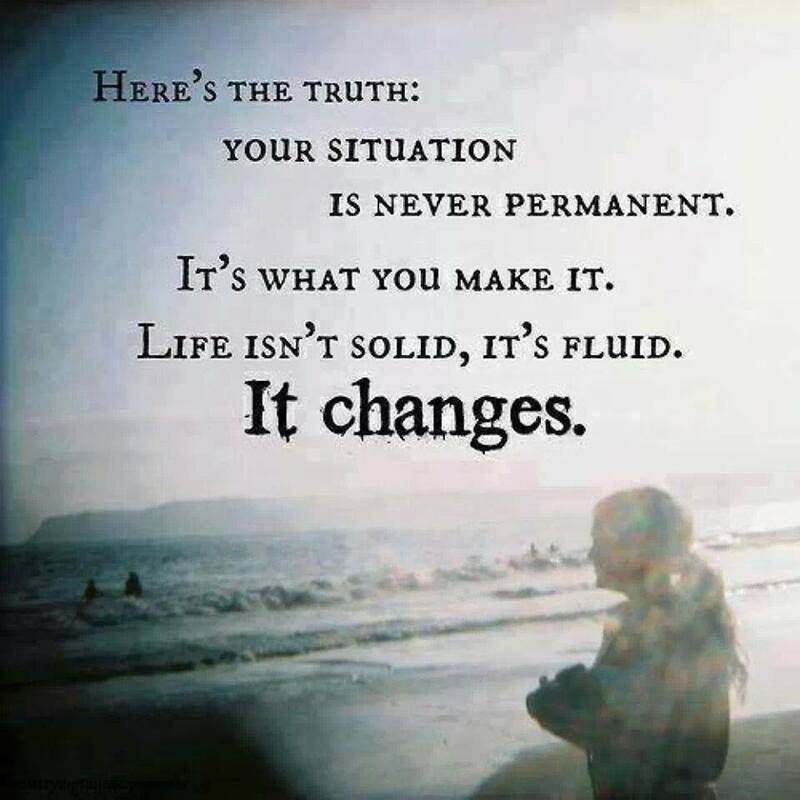 The biggest thing I have figured out over these 35 years of living as a human is that the only true certainties in life are change and unfairness. We can make all the plans we want for our lives, but nothing goes exactly to plan. There will always be snags, problems, opportunities missed (and taken), and changes in direction. When I was 16, I had the next 30 to 40 years of my life planned already. I was going to graduate from high school, then college, then medical school, then go on into medical research, get married, have a couple kids, own a house in the suburbs of a large city outside of Nebraska, make well over six figures, and help develop something that would benefit humanity through my research. Besides graduating from high school and college, none of that happened. For years I was brutal on myself thinking “It’ll all fall into place when you get your big break” or “People less intelligent and less ethical than you are having good careers, why can’t you get things together”. I spent my twenties after college going from one remedial job after another, finding out the hard way that my ability to handle stress and interpret social cues and understand social norms were all severely damaged by schizophrenia. For those years of struggle, I thought I was a failure and not trying hard enough. I would get panic attacks and bouts of nausea before I had to go to work every morning. It got so bad I had my stomach scoped to see if I didn’t have some underlying gastro intestinal problems. I didn’t. I also had to spend years listening to the whole “all your problems are in your head” nonsense. Everything we experience is merely electrical signals interpreted by our brains, so no kidding it’s in my head. It’s in all of our heads. Telling someone with a mental illness it’s in their heads is cruel and does nothing for them. I was also told the whole “have faith and it’ll help you” nonsense. I won’t even address that subject except to state I had more faith than everyone I knew until my early twenties and I still developed a mental illness that destroyed my productive ability. I still get these feel good memes that oversimplify while not addressing root issues. I even had someone I thought was a friend tell me, to the effect, I wasn’t a real man because I didn’t have a job or a family. I still deal with ignorance and cruelty after eighteen years of mental health problems. Granted it doesn’t ware on me or anger me as much as it did ten years ago, but it still hurts. Seen and experienced lousy things, horrible hallucinations, and harbored horribly violent thoughts in eighteen years with schizophrenia. But I did learn to not discount kindness and empathy when it does come. I also learned the value of real, genuine friends, something that not many people have at all in their circles of friends. Hopefully the struggles, disappointments, and good friends of the first 35 years will prepare me well for the next 35. Those of us with mental health issues to deal with have an advantage over so-called normal people. I have lived almost sixty years with the disadvantage of being the smartest person in the room 95% of the time. I married into bipolar disorder and my children were affected. But the capacity we have for overcoming heartache and horror with love and understanding is a gift more valuable than any golden treasure. And it is a gift we had to earn the hard way. Stay strong, my friend. Happily ever after may be a fairy tale, but good things do happen to good people.